We provide bridge inspection and load rating services in accordance with National Bridge Inspection Standards and local regulations for counties, cities, townships, and state government agencies. Our inspectors are fully trained in NHI Bridge Inspection concepts and procedures. 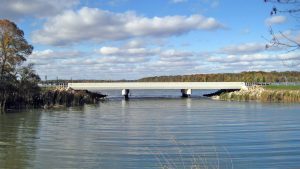 Erickson Engineering also provides specialized bridge inspections at the request of public and private bridge owners, to determine structural integrity and monitor known or suspected deficiencies. These inspections include in-depth visual observations, physical testing if appropriate, and a comprehensive load rating analysis. We also evaluate bridges for oversize and overweight loads such as generators, transformers, and wind turbine parts.